I'm not exactly sure why, but I love seeing purple lighting cast on fantastical looking architecture. There's a sense of spookiness it creates that reminds me of Halloween, and it provides a nice contrast to warm yellow lights that dominate a lot of the park. 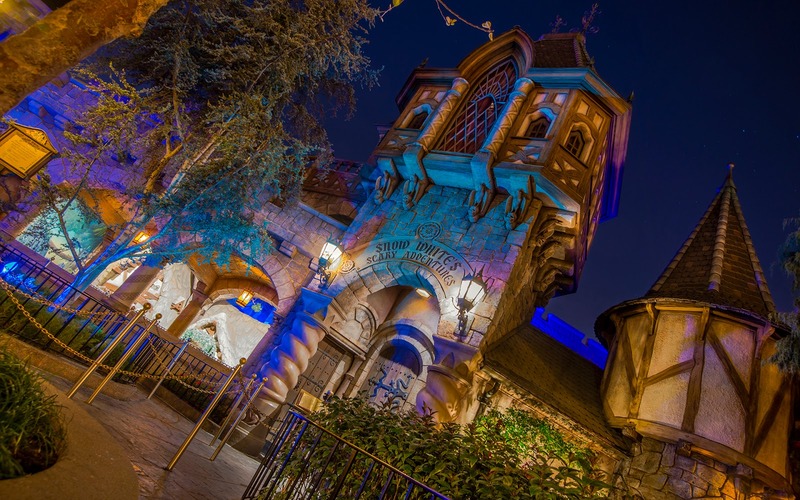 Over at Snow White's Scary Adventures, in Fantasyland, this effect takes hold more noticeably than in other places, and it provides a great facade to photograph, especially after everyone has gone home for the evening. Snow White's Scary Adventures after midnight.